When your air conditioner has trouble, your entire house has trouble, especially if it’s summertime! The not temperatures don’t just make the daytime hard; they make sleeping difficult. You can end up a hot, exhausted, cranky mess. The good news is, Tippetts Mechanical is here to make sure that doesn’t happen! One issue we frequently encounter is air conditioners that turn on and off too rapidly. If your air conditioner is doing this, there are several possible reasons. We’ve explored a few in the last blogs, including thermostat placement, refrigerant levels, and air filters. However, you will always want to get a professional to assess the situation. Today, we have a few last possible reasons for your air conditioner to be cycling too quickly. Maybe your air conditioner has run in frenetic bursts ever since you got it. If this is the case, there’s the chance that the system is so big, it quickly cools your home and shuts off. You lose money on a system like that, because even though it runs for a shorter amount of time, it uses more energy as a whole and may unevenly cool your home. 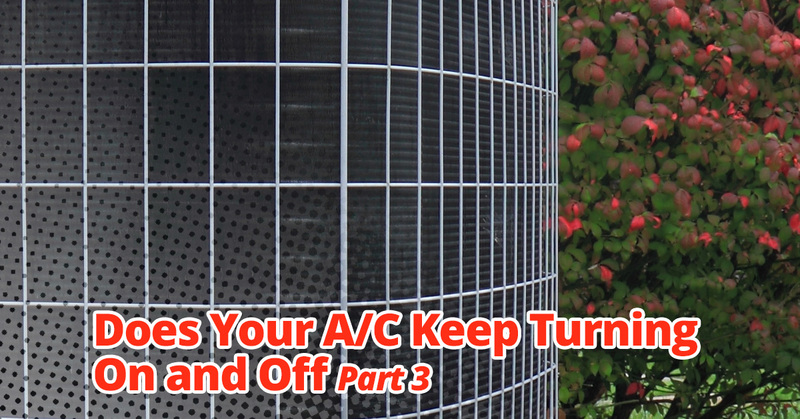 Your unit has coils on the outside, and they are responsible for letting heat escape the unit. Dirty coils don’t work as well, which means an overheated air conditioner that has to shut off frequently. A Tippetts Mechanical, our experienced technicians are dedicated to being fast, thorough, and always going the extra mile. Contact us for HVAC repair and more in Las Vegas!